In much of India, the tradition has been that the world is still in Kali Yuga and we have 300,000 more years of experiencing Kali Yuga before we evolve to Dwapara Yuga. However, in 1894, Yogananda’s guru, Swami Sri Yukteswar, wrote the groundbreaking book, The Holy Science. 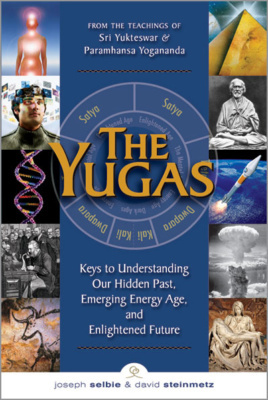 In this book Sri Yukteswar addresses the discrepancy between his 24,000 year yuga cycle knowledge and the traditional Indian cycle belief. 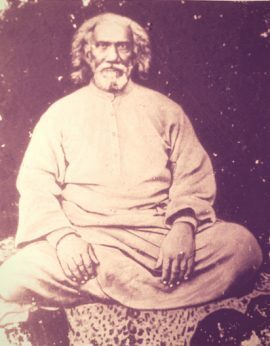 Sri Yukteswar points out that thousands of years ago, toward the end of descending Dwapara Yuga, (roughly 900 to 700 B.C.) errors had crept into the Indian almanacs that were used to calculate the length of the yugas. 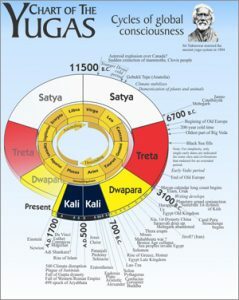 Compounding this problem was the darkening effect of the descending yuga which led unenlightened people to adjust the calculations, which resulted in the far longer cycle of current India tradition. Sri Yukteswar’s introduction to The Holy Science includes his explanation of the Yuga Cycle – revolutionary because of his premise that the earth is now in the age of Dwapara Yuga, not the Kali Yuga that most Indian pundits believe to be the current age. His theory is based on the idea that the sun “takes some star for its dual and revolves round it in about 24,000 years of our earth – a celestial phenomenon which causes the backward movement of the equinoctial points around the zodiac.” The common explanation for this celestial phenomenon is precession, the ‘wobbling’ rotating movement of the earth axis.